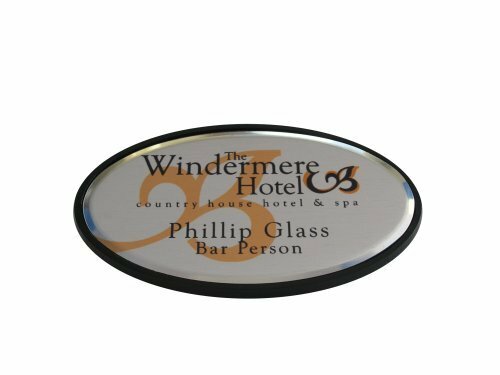 Personalised Oval Metal Badge in Black Holder. The badge is Gold and comes in a holder with safety pin fastening. It measures 2.6” x 1.5” and they come in packs of 5. Give your business a professional image.